Daphne Raines has dreams much bigger than her tiny southern Utah town, so when her rock star dad suddenly reappears, offering her full tuition to Olympus Hills High's prestigious music program, she sees an opportunity to catch the break she needs to make it as a singer. But upon moving into her estranged father's mansion in California, and attending her glamorous new school, Daphne soon realizes she isn't the only student in Olympus who doesn't quite belong. Haden and Daphne—destined for each other—know nothing of the true stakes their fated courtship entails. As war between the gods brews, the teenagers' lives collide. But Daphne won't be wooed easily, and when it seems their prophesied link could happen, Haden realizes something he never intended—he's fallen in love. Now to save themselves, Haden and Daphne must rewrite their destinies. But as their destinies change, so do the fates of both their worlds. 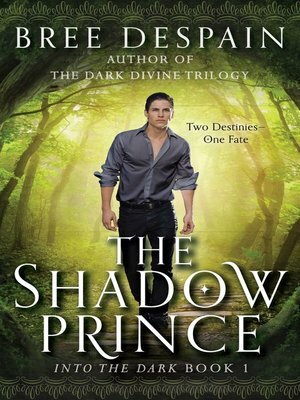 A pulsating romance of epic proportions, Bree Despain's The Shadow Prince will leave her fans breathless for the next book in the Into The Dark series.